The Aston Martin Vanquish is a super grand tourer introduced by Aston Martin in 2001 as a successor to the ageing Virage range. The first-generation V12 Vanquish, designed by Ian Callum and unveiled at the 2001 Geneva Motor Show, was produced from 2001 to 2005. The prototype, built by the Ford Motor Company and Indian designer Dilip Chhabria, was driven by James Bond in the 2002 film Die Another Day. 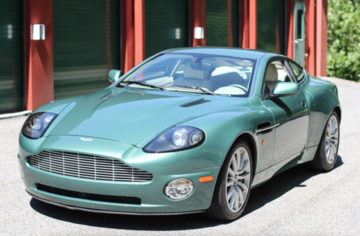 In 2004, a more powerful version called the Vanquish S became the marque's flagship, followed by the Aston Martin DBS V12 in 2007. The second-generation of the Vanquish was introduced in 2012, followed in 2017 by the Vanquish S with a more powerful engine and improved aerodynamics. The Vanquish was succeeded by the Aston Martin DBS Superleggera in 2018.